A skipjack tuna purse seine net in the international waters. Have you noticed that the price of seafood, especially in the Japanese restaurant, is getting higher and higher? According to an article from Greenpeace issued in 2015, we will run out of food resources from the ocean in 2048, and it is humans ourselves that lead to this end. Especially for those apex marine predators like sharks and whales, which are highly related to the balance of marine ecosystem (source). However, researchers had found that one-fourth of the world’s fish industry has collapsed since 1950 while the fishing industry has never stopped its pace. In 2008, almost 2.5millian tons of yellowfin tuna (Thunnus albacares, IUCN: Near Threatened) and big-eye tuna (Thunnus obesus, IUCN: Vulnerable species) were captured in the Pacific Ocean, which has been the largest captured amount. The start of the world’s fishing industry was since the beginning of human civilization. People use several types of technics including the net made by plants’ fibre to capture fish. 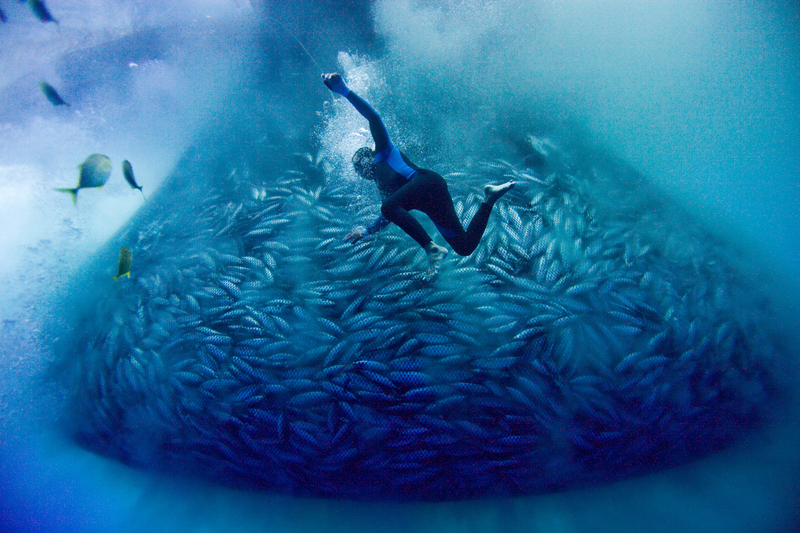 However, as the growing of humans’ population and the requirements of a larger amount of fish, especially fish from the deep ocean which has been considered to be rich in omega 3 and other materials that is good for our health, fishers started to use trawl net that can totally empty the ecosystem where it passed. 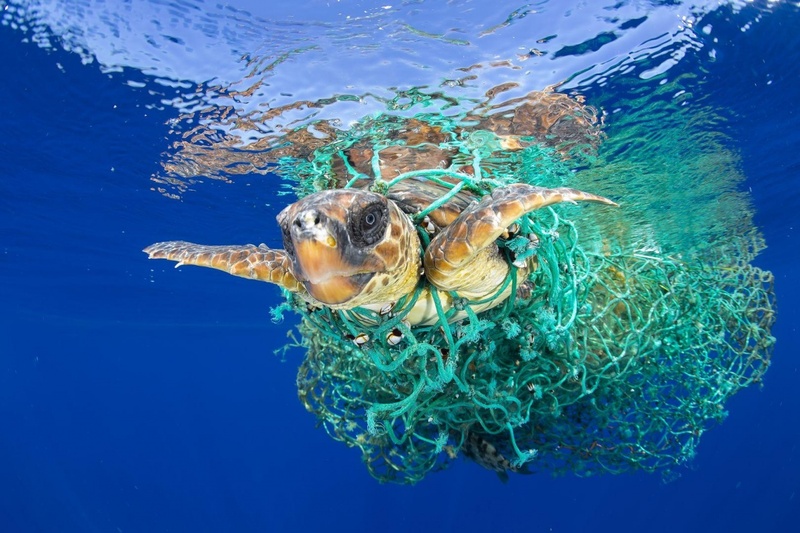 Nonetheless, the wasted nets, which were mostly made by plastic nowadays, that threw into the sea directly has threatened the life of marine creatures including sharks, sea turtles and some mammals. Those nets would trap those creatures and limit their actions, in the end, grab them into the deep, dark ocean and even take their life. Japan, as the largest fish-consuming country, is facing the most serious effect of the lack of fish resources. Take the Japanese eel for example. The Japanese eel (Anguilla japonica) is also facing a tremendous decline in this decay, especially in the year 2018. To harvest the eel artificially, the farmers have to catch the eel fry between autumn to the next spring. However, the number of the eel fry they get (captured and import from the nearby country) in the November and December of 2017 had declined by 96% compared to the last year and will keep declining years by years. Nonetheless, the price of eel fry was approximately NTD 1,000,000 (USD 33,300) per kg which was almost the price of 1 kg of gold. With the higher and higher price of eel, some vendors used snapper which has similar taste after Kabayaki (baked with Japanese sweet soy sauce after removing the bones) to instead the eel, some restaurants were even shot down because of the unaffordable price of adult eel. The marine ecosystem is really important to not only human life but also terrestrial ecosystems. Besides the marine mammals, the animals which live near the coast including sea eagles and albatross have also threatened by the lack of resources and the pollutions. The ways of arousing the public’s awareness of marine conservation are the priorities that can not only help to preserve the beautiful marine creatures but create a sustainable fishing industry that can keep the resources for our next generations. The action of ocean protection taken by Greenpeace. Previous Previous post: Are We in a Bind with the Right to Food? Next Next post: Fast Food: Playing the blame game?